Photo: Rudranath Fraser Prime Minister, the Most Hon. 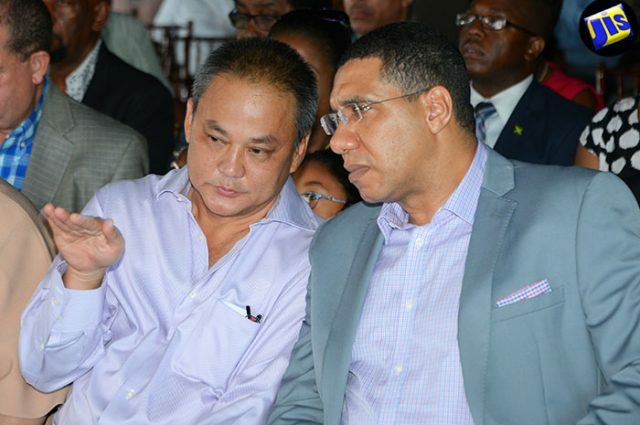 Andrew Holness (right), listens keenly to Chairman and Chief Executive Officer (CEO) of Juici Patties, Jukie Chin, at the official opening of ‘Empowerment Park’ by the company at Clarendon Park, on July 10. Prime Minister, the Most Hon. Andrew Holness, says investment in the entrepreneurial spirit of Jamaicans will guarantee the country’s economic growth. “We need more entrepreneurs. The countries that are going to grow rapidly in this era will be the countries that can create, innovate and add value. 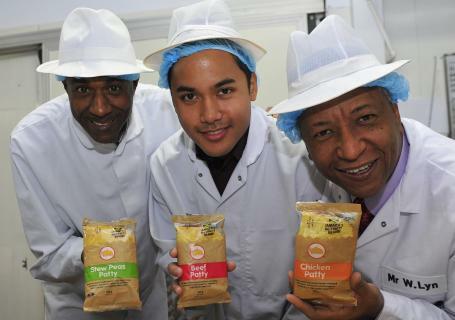 The critical element in that is the entrepreneur,” Mr. Holness said. The Prime Minister was addressing a ceremony to officially open ‘Empowerment Park’ established by Juici Patties at Clarendon Park in celebration of the company’s 35th anniversary, on July 10. Mr. Holness argued that further growth and development of businesses must shift focus from owning the production to owning the rights and ideas of that operation, as that is now the value of companies in North America. 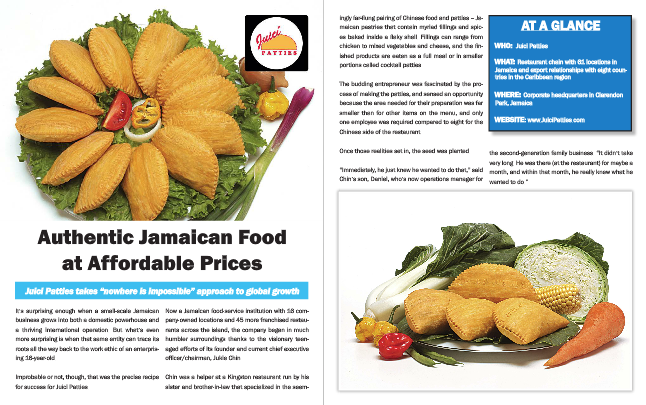 The Prime Minister said he wished to see Juici Patties become a global Jamaican brand and for the business to continue being prosperous. He suggested that more businessmen, such as Juici Patties Chairman and Chief Executive Officer (CEO), Jukie Chin, who remains “true to enterprise and commerce” and who has a social conscience, are needed. For his part, Finance and the Public Service Minister, Hon. Audley Shaw said the journey from humble beginnings by Mr. Chin must be used by others as a source of inspiration. He congratulated the businessman for creating the park and encouraged users of the facility to take care of it. Chief Operations Officer (COO) and Director of Juici Patties, Edith Chin, said the vision for the property is to provide a green space to nurture, inspire and to encourage. Meanwhile, Mr. Chin indicated that a museum to chart the Juici Patties journey is to be erected as well as a netball court. His wish is that the property remain an oasis and that persons will treat it with care, especially its facilities. Member of Parliament for South West Clarendon, Noel Arscott, who represented Opposition Leader, the Most Hon. Portia Simpson Miller, said the park is a major investment in Jamaica. “You are offering a major value, creating jobs and empowering the people of Clarendon and Jamaica in general,” he said. Empowerment Park, which sits on 22 acres of land, features: a walk of fame, honouring outstanding individuals in culture and sports; a football field; meeting rooms for businesses and weddings, a stage and a verandah. It is free to the public.